Giant ivy is named because of its impressive ability to completely cover the area around it. 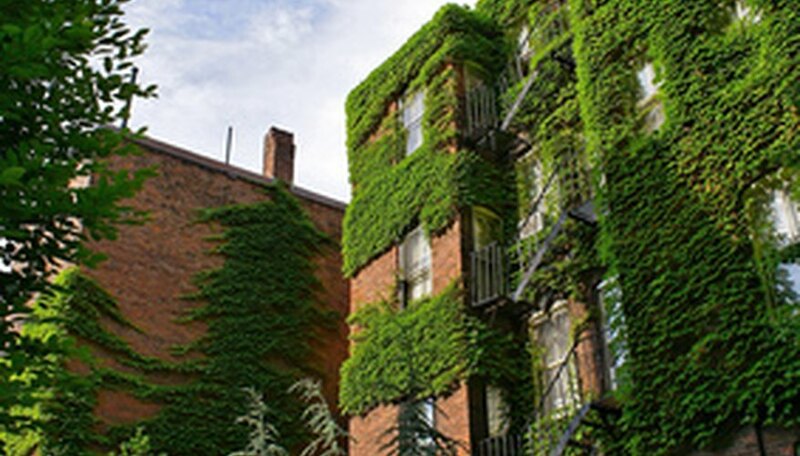 Whether it's across the ground or up the sides of buildings, giant ivy can bring a lot of nature into even the most urban areas. This beauty can come at a cost, though, with many giant ivy plants existing only at the cost of other species. Boston ivy is named because of its dominating presence in and on the buildings of Boston, Massachusetts. Originally from Japan and China, it's also called Japanese ivy. 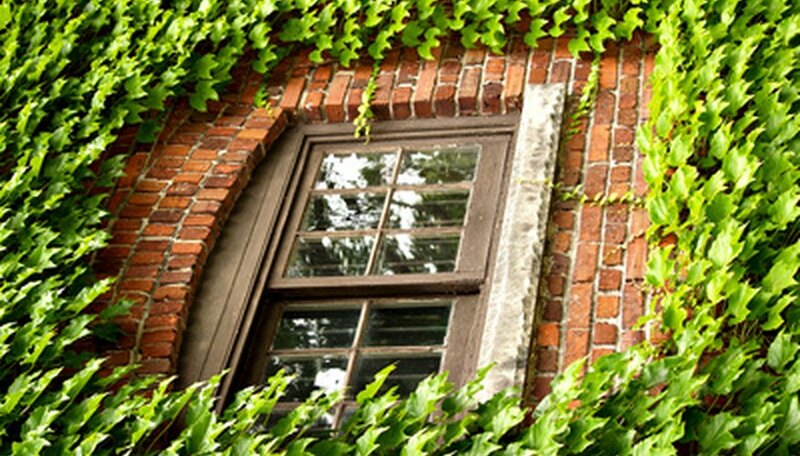 A single vine of Boston ivy can grow up to 50 feet. This fast-growing ivy can cover the side of a building quickly, using small tendrils and tiny discs that adhere to the climbing surface. Sensitive to the cold, it isn't found much farther north than Boston. Another attractive feature of the Boston ivy is its color. During the summer months, it is a deep rich green. In the autumn, it changes to a dark, reddish-purple. One variety, Purpurea, has leaves that are purple year-round. English ivy is an evergreen ivy that is extremely tolerant of cooler temperatures. Because of its fast-growing, tolerant nature, it is viewed as an invasive species in many areas. Originally from Europe, English ivy was brought to the United States by settlers and used as an ornamental plant. It can grow vines up to 100 feet long and cover ground, buildings and trees alike. It is extremely hardy and cannot only kill other plants that are near it but also cause structural damage to buildings. The vines attach themselves to vertical surfaces by a thick excretion that acts as glue, but the vines can easily be removed by hand. There are several different varieties, all of which have dull green leaves and central vines that can grow to be up to 5 inches thick. In its natural habitat, cape ivy has a limited area of growth in South Africa. It has been transplanted and moved to areas in the United States, Europe and Australia, where it has been deemed an invasive species. Cape ivy is green or yellowish green, with yellow flowers. The ivy grows in areas with plenty of moisture and low elevation, and the plants can reach thicknesses of up to 30 inches. Because it is so thick, it steals valuable sunlight from the plants underneath and smothers them. Cape ivy is not a food source for most animals and insects because of a noxious smell and toxic alkaloids that the plant produces. Once planted, cape ivy is difficult to get rid of. Root systems are shallow, but pulling the plants out causes the roots to break, and the ivy will grow from any root fragment.